(Orlando Sentiel) -- Who was heard crying for help on a 911 call in the moments before the teen was shot? A leading expert in the field of forensic voice identification sought to answer that question by analyzing the recordings for the Orlando Sentinel. His result: It was not George Zimmerman who called for help. 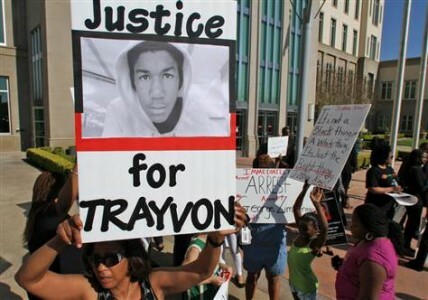 George Zimmerman, a Neighborhood Watch volunteer, shot Trayvon, an unarmed 17-year-old, during a one-on-one confrontation Feb. 26. Before the shot, one of them can be heard screaming for help. Forensic voice identification is not a new or novel concept; in fact, a recent U.S. Department of Justice committee report notes that federal interest in the technology "has a history of nearly 70 years." The recording was taken from 911 tapes. And I doubt these guys got an actual copy from the police. So it's a recording of a recording - where the source is a cell phone microphone. A 48 percent match compared to other audio of Zimmermans voice where he was not screaming out HELP but where he was casually describing a suspicious person. Not exactly "stressed" as a comparison - which they said they did. So get a recording of Zimmerman being beat against concrete and screaming and I'll bet you'll get your other 50 percent voice match. I almost neglected to say ... cell phone microphone source from inside of an apartment - through concrete walls and wall board and maybe through closed windows while cell phone is being held against the users face.